When it comes to businesses, expanding your network can definitely do wonders and can even help to increase your sales. An introduction letter can do just that! It will serve as a tool that will help you get leads that you can possibly turn into loyal clients. However, writing an introduction letter can be a challenge. 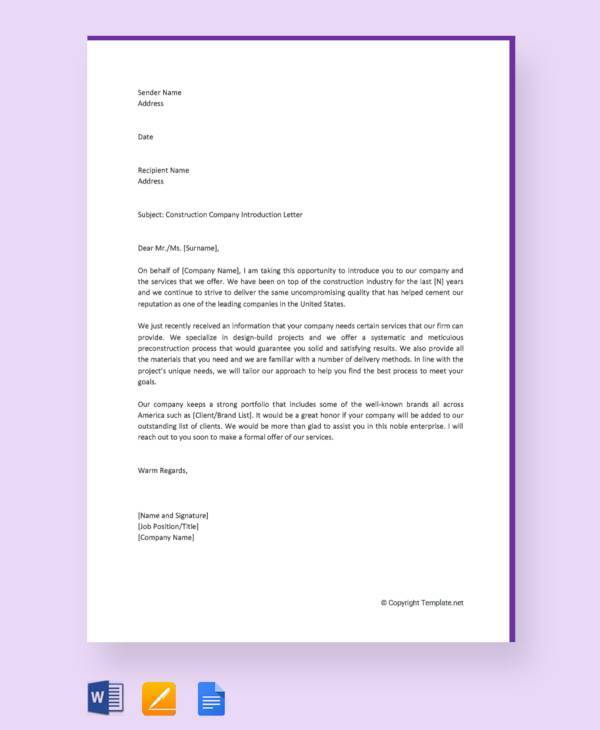 This is a business introduction letter and you want to make sure that it is equipped with the right information and the right words that will definitely encourage the reader to want to avail of what you have to offer. It has to be thoroughly and carefully written to create an impression to your reader. It has to be easily understood by the reader and should be encouraging enough to make the reader subscribe to whatever it is you have to offer. If you are looking for advice on how to write an introduction letter, you have come to the right website! We are here to help you come up with an introduction letter that will have your phones ringing with calls from potential clients. We have also collected a wide variety of sample letters that can help give you a better perspective about how these letters are written and how these letters look like. Continue reading to find out more about introduction letters. One good way on ensuring that your introduction letters get read and will encourage some replies, you have to make sure that your introduction letters are formatted properly. 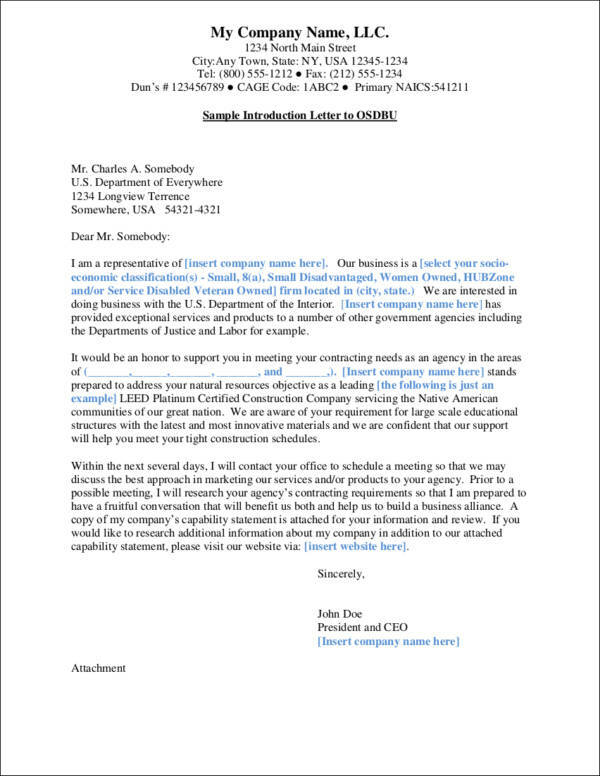 Here are a few introduction letter format tips you can follow for your very own letter. The paper size of your introduction letter should be a letter size (8.5″ × 11″) or A4 (8.27″ × 11.69″). Make use of a professional font style (Sans Serif or Serif font family) and make sure it is between 10–12 point font size. 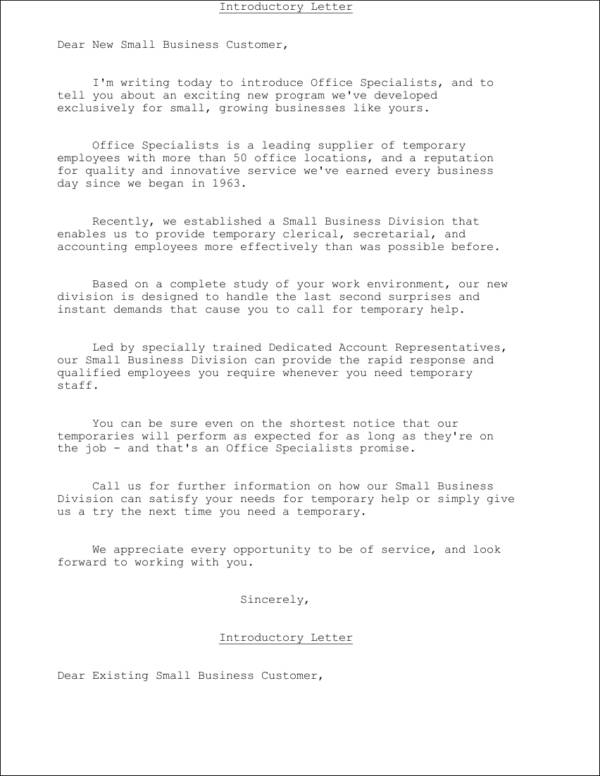 Follow a proper business letter format. Your letter should either be semi-blocked, blocked, or fully blocked. Keep margins on all sides to at most 1 inch. Start the letter with your contact details, which will include your name, address, and phone number. 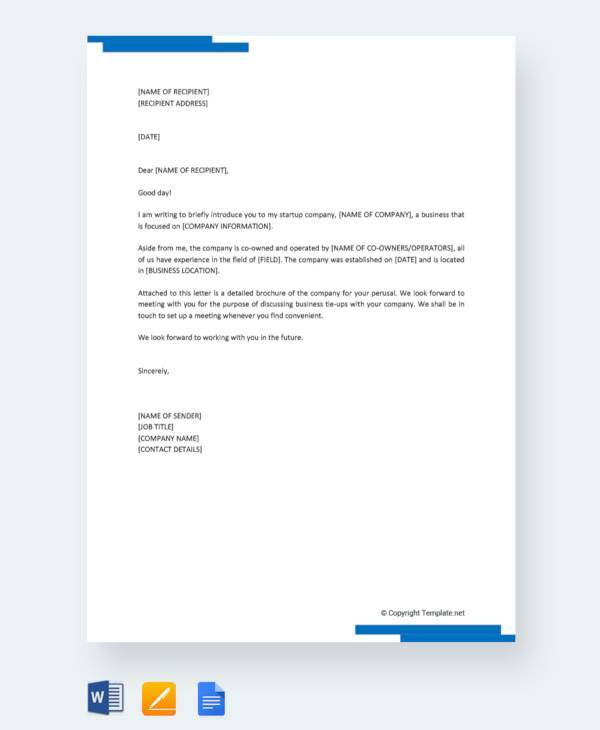 Make use of a personal letterhead should you have one available. 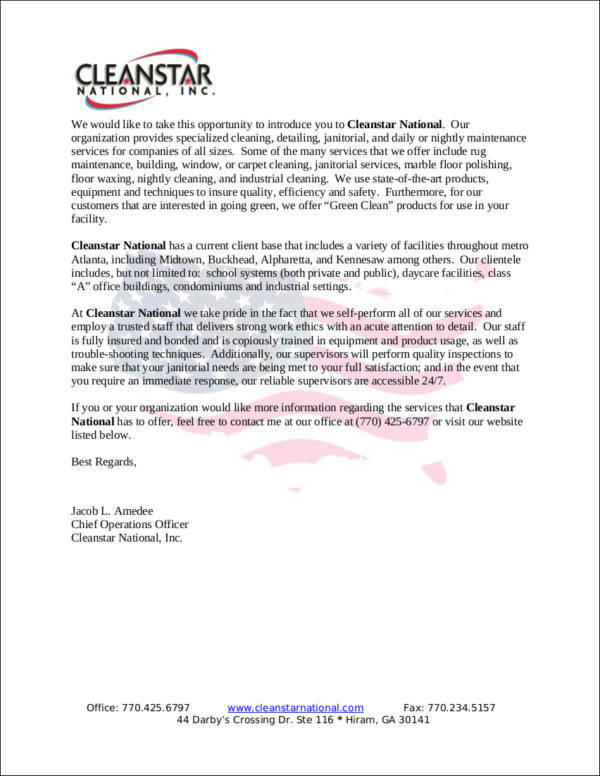 Two spaces after your letterhead, write down the date. Make sure it is on the extreme left of the page. Two spaces after the date, the name, designation, and the address of the recipient shall follow. You may skip this if you are looking to writing a general letter of introduction. Keep the tone of your letter a bit informal. Write it as if you are just plain talking to the person who is reading it. This way, it would not sound robotic and will not be too intimidating. Keep a single spacing all throughout the letter. About two spaces after the recipient’s details, write a proper salutation. 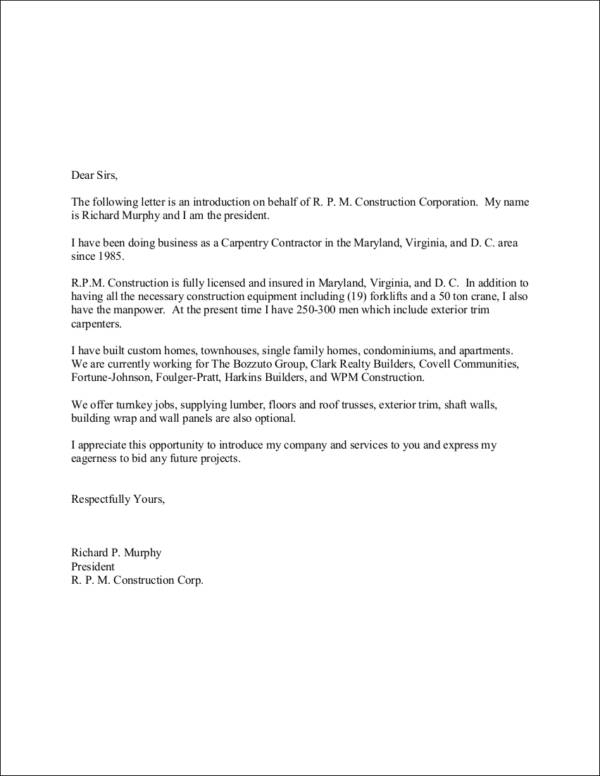 In your first paragraph, briefly introduce yourself, your designation in the company, and the name of the company. However, it should focus on addressing the needs of the reader instead of talking about yourself. This is also where you will briefly explain what your letter is about. 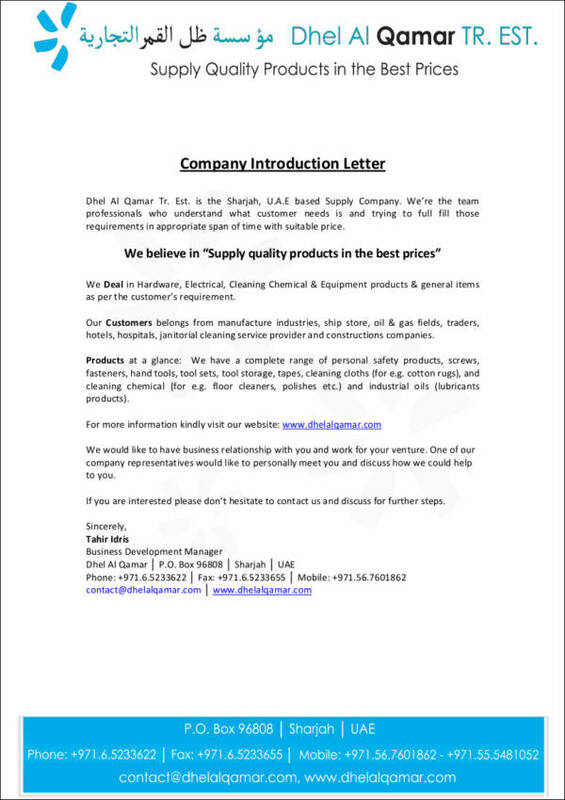 The next paragraph will let the reader know a brief background about the company and what you offer. In your last paragraph, reiterate what the purpose of your letter is and make sure you do not forget to thank the reader. Choose a complimentary close that is appropriate for your letter. End your letter with your signature and over your typed name. Under your name should be your designation in the company. Should there be any enclosures to your introduction letter, make sure you mention this. An effective introduction letter focuses on the needs of the reader. To make sure you are able to write an effective introduction letter, structure follow these tips. The most crucial step when it comes to writing an introduction letter is being able to determine why the customer would be needing your offer. In short, finding reasons why there is a need for what you are offering and taking advantage of a good business opportunity. 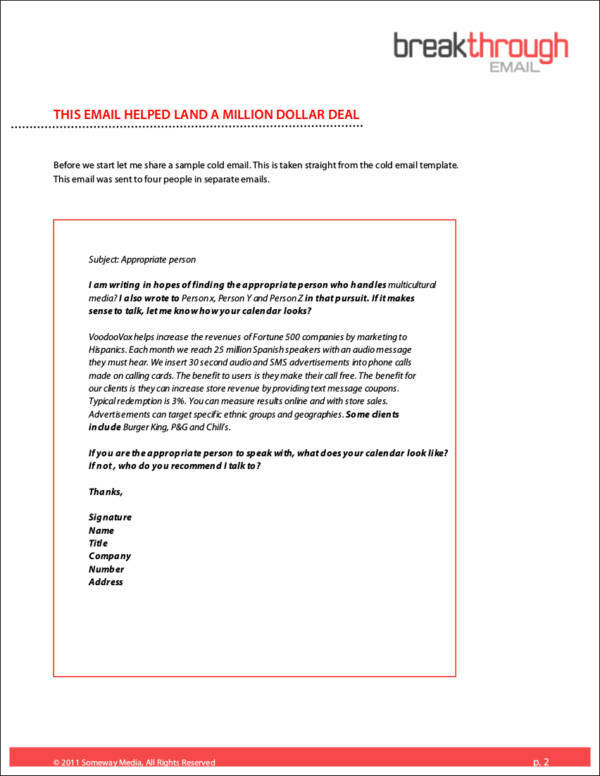 In your letter, make sure you are able to establish that your reader has a need and that your offer would be an excellent solution to addressing the problem. 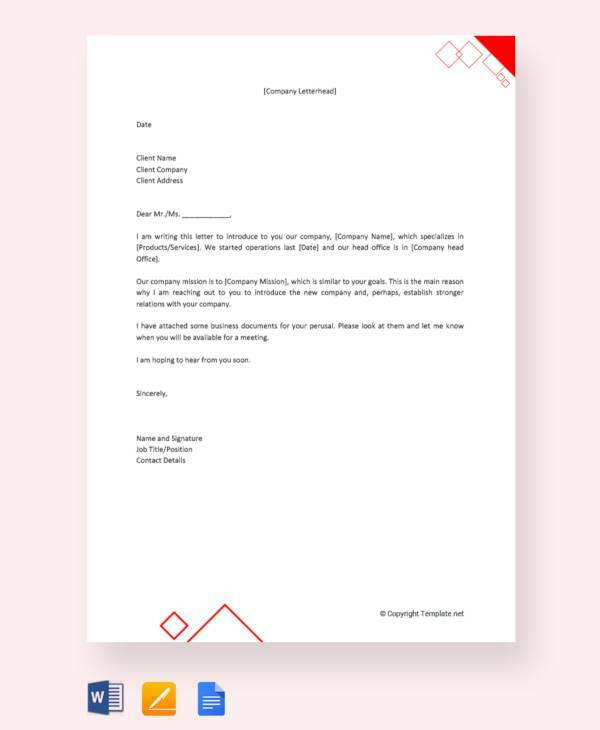 To make your introduction letter effective, you have to make sure that you start it strong. Your leading statements should be telling the reader why he/she should continue reading the letter. Starting with a question that would allow the reader to answer in a certain way where he/she will agree with your claim would be a great start. If you are able to target your lead statement properly, you will end up with a reader who will definitely be convinced that he/she needs your offer. Rank the information you are sharing according to importance. 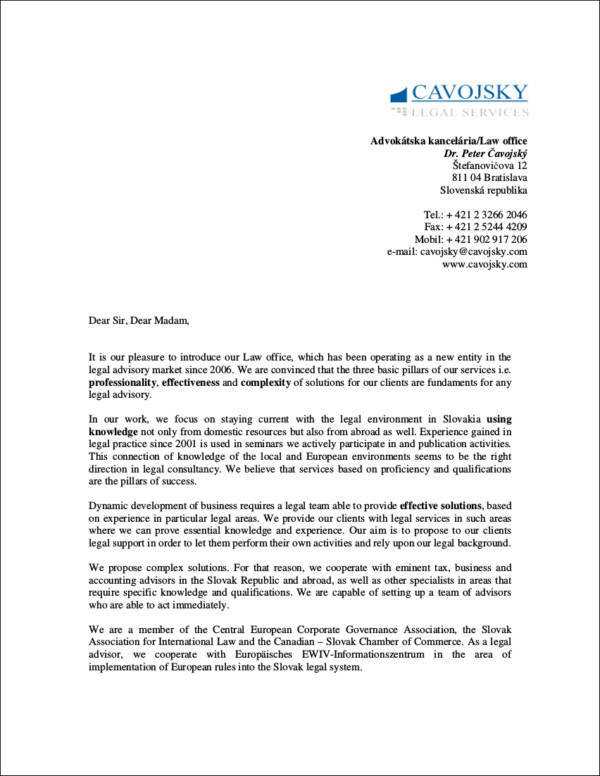 You have to make sure that you do not present your letter in large blocks of text without a clear conclusion. Break it up into several paragraphs. You may also make use of lists, bullets, and graphical representations of information in order to make it easier for the reader to go through your letter. After determining the need and telling your reader what it is that you can do for them, let them know how you can do it for them. You have to remember that you are not writing a sales proposal letter. You are simply introducing what your business is and what it can do to help address the needs of your reader. Remember, all you need to state in your letter is what you can do for them and how you will do it. Just provide details that will prove that your company is credible and will pique their interest having them call you for more information. Make sure that all of your relevant contact information is in your letter to provide the reader an easy way of getting in touch with you. Let the reader know what they need to do next. Do not let them figure it out by themselves. Chances are if you do not ask them to get in touch with you, they never will. Asking the reader to visit your website or social media pages for more information about other offers you may not have mentioned in your letter. Ask the reader to give you a call and that you will be happy to answer any question they might have about the offers you have and other questions they might have that is related to your business. You may also inform the reader that you will be calling for a follow-up. Make sure, however, that you will be specific about when you will be calling them. What to Do When There Is No Response? Wait about 5 days to a week before sending a follow-up letter. Do not seem desperate. Ask to set for a meeting in your follow-up letter. Ask what date seems convenient for him/her. Should there be no reply after your follow-up letter, wait for another week and repeat this process. 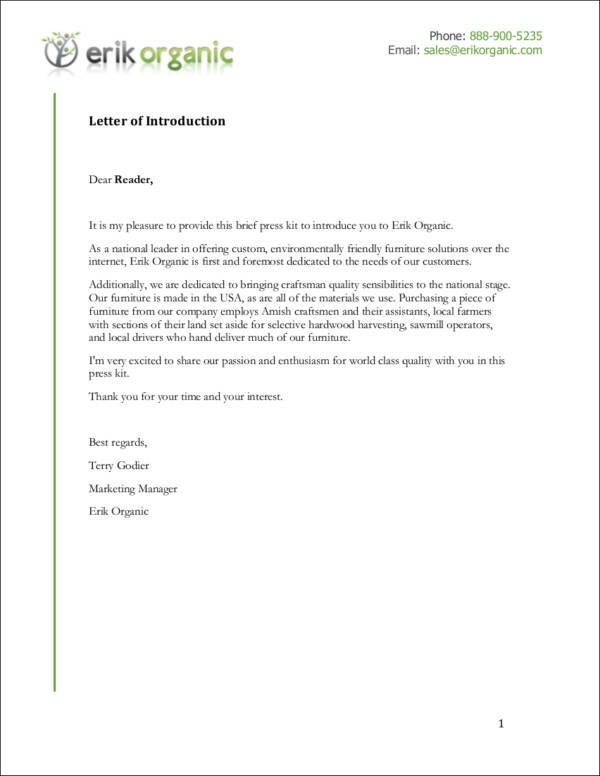 We hope you learned a few basic things about writing a business introduction letter. 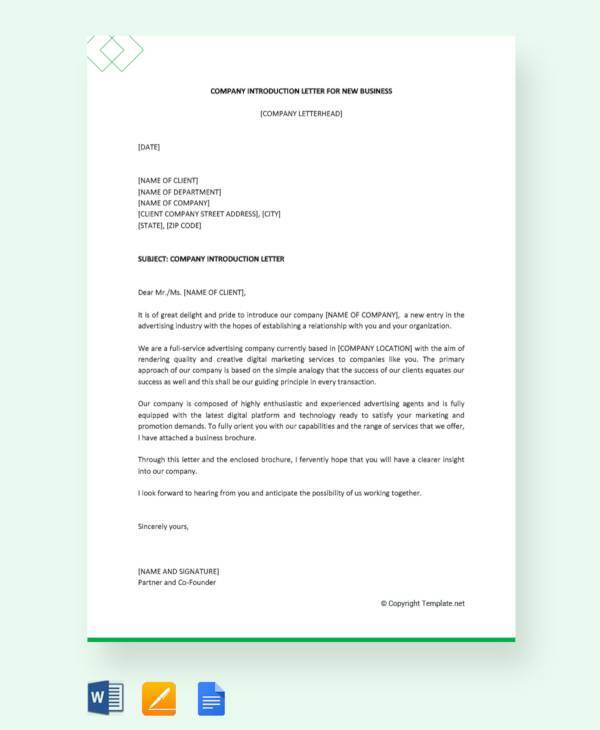 The sample letters we have will also be great references should you be confused about how you can make your business letter presentable and convincing. The best thing about the samples we have presented? They are free for you to download, so you can definitely download all of the samples without having to worry about paying for the samples. In today’s world, networking for both business and personal purposes can go a very long way. Building professional relationships with potential loyal clients is important to making your business more successful. 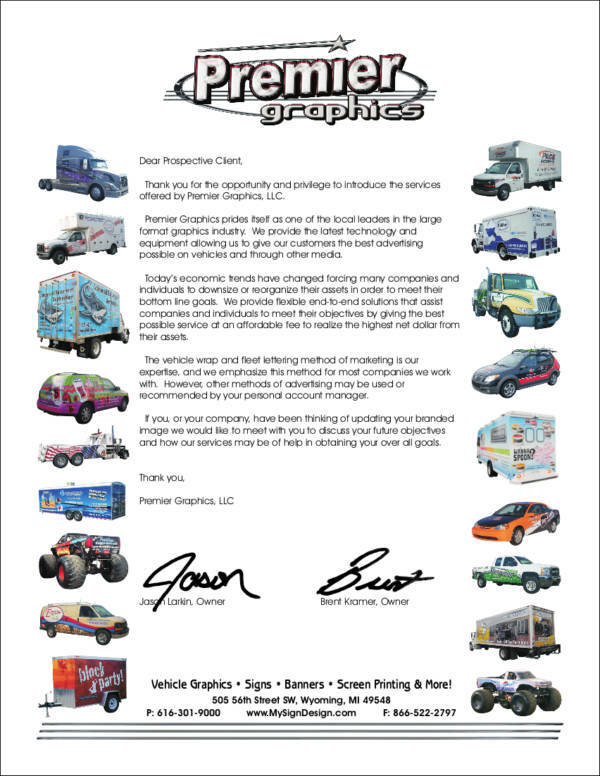 Your introduction letter serves as your first impression to your new clients. Remember that these letters actually provide a valuable service of being able to connect with new clients as it can strengthen your relationship with them, which is highly beneficial for you in the future. We wish you luck in your future business endeavors!